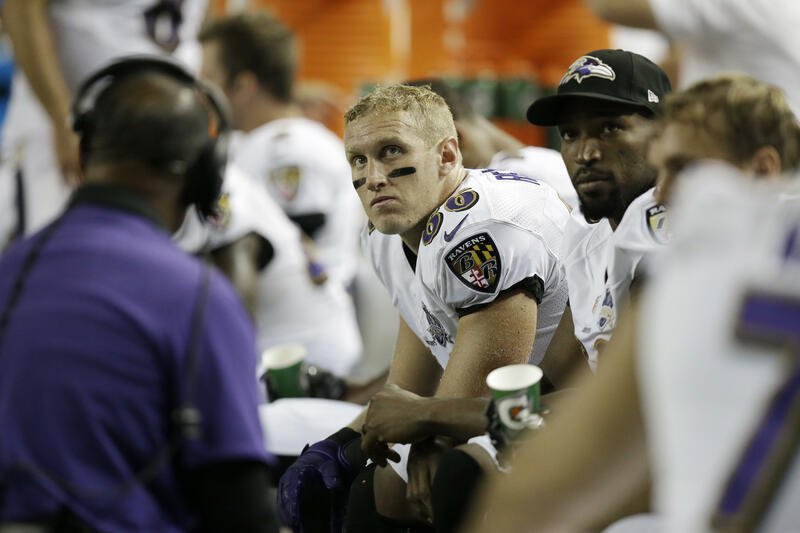 Konrad Reuland, a former NFL journeyman tight end who spent five seasons in the league, died Tuesday at age 29 after suffering a brain aneurysm last month, Baltimore Ravens coach John Harbaugh said at his post-game press conference following a loss to the New England Patriots. Reuland had a brain aneurysm on November 28, and was scheduled to undergo surgery for it the next day, reports ESPN. The 6’5”, 250-pound California native was a big target for quarterbacks throughout his career. He played with former NFL quarterback Mark Sanchez at Mission Viejo High School in Southern California, reports NJ.com. He started his college career at Notre Dame, before transferring in 2009 to and later finishing up at Stanford, where he was Indianapolis Colts quarterback Andrew Luck’s teammate. Reuland was claimed as an undrafted free agent rookie by the San Francisco 49ers, where he spent one season. He was then picked up by the New York Jets, where he spent parts of two seasons, and then he spent a season with the Indianapolis Colts. In November 2014, the Ravens signed Reuland, where he spent parts of two seasons.